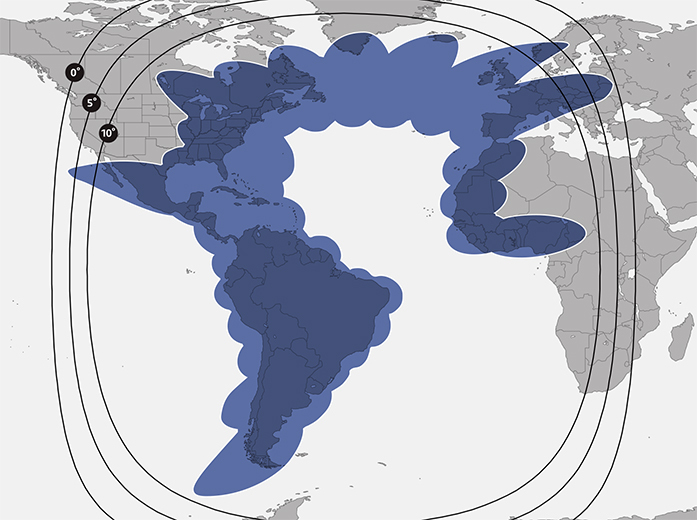 The C-band payload of SES-14 will replace NSS-806 and will support SES’s cable neighborhood in Latin America. 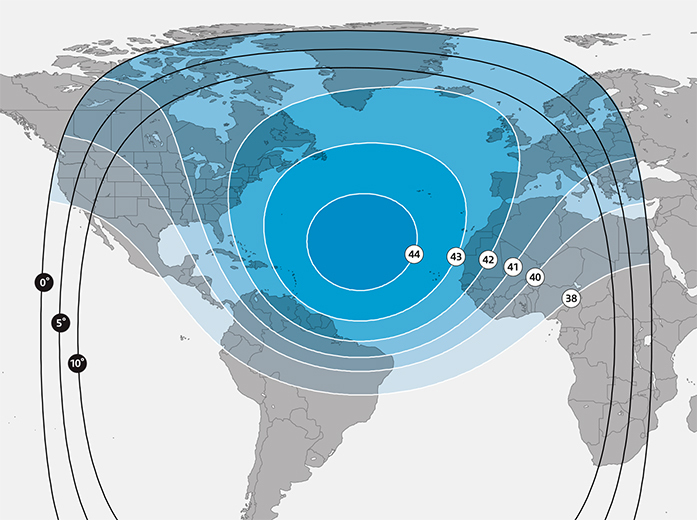 The Ku-band payload augments the Ku-band capacity on NSS-806 with wide beams and high throughput spot beams covering the Americas and the North Atlantic Region. 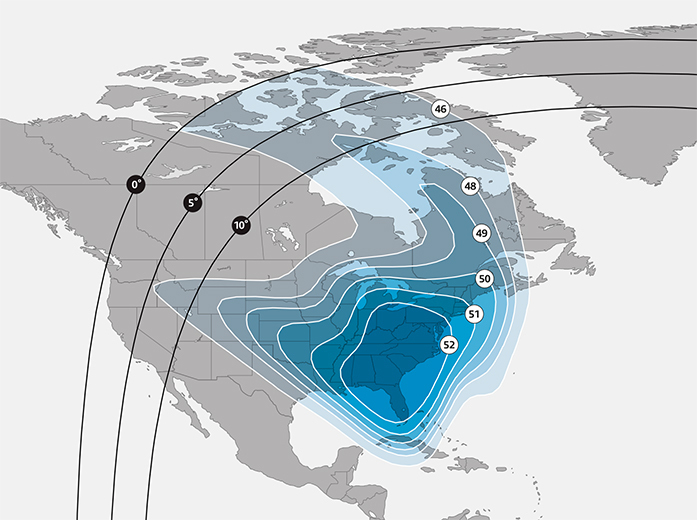 The Ku-band spot beams will allow SES to support the increasing demand for aeronautical and maritime mobility applications, cellular backhaul, broadband delivery, and VSAT services for enterprise and government segments. 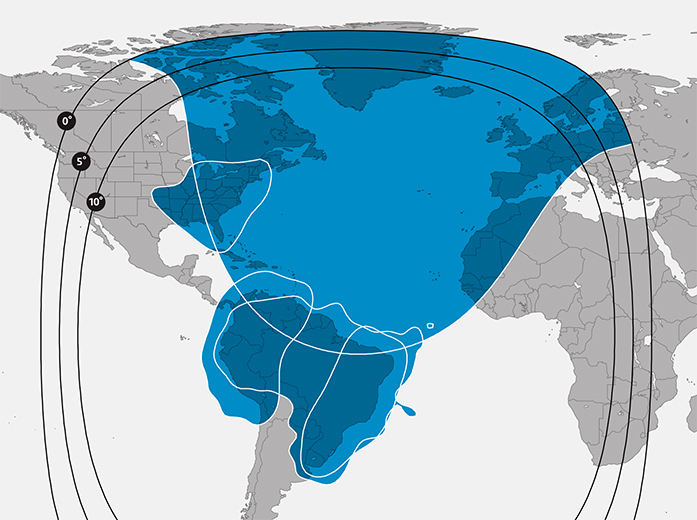 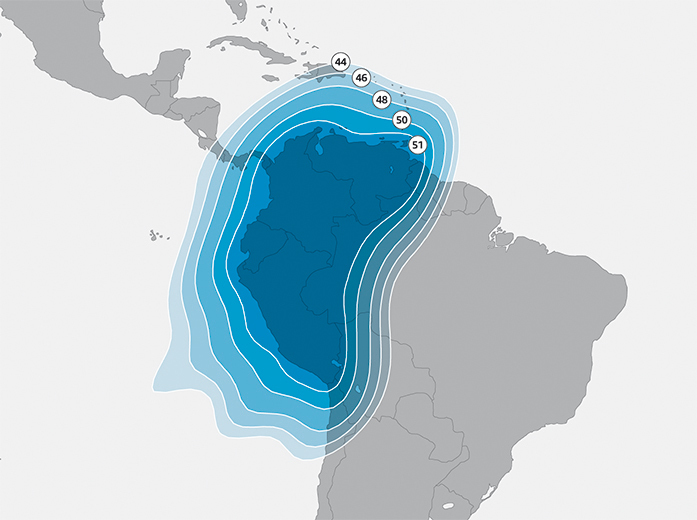 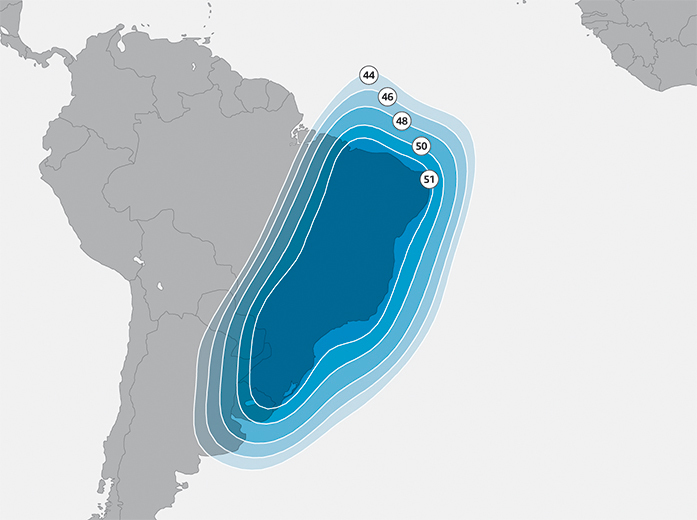 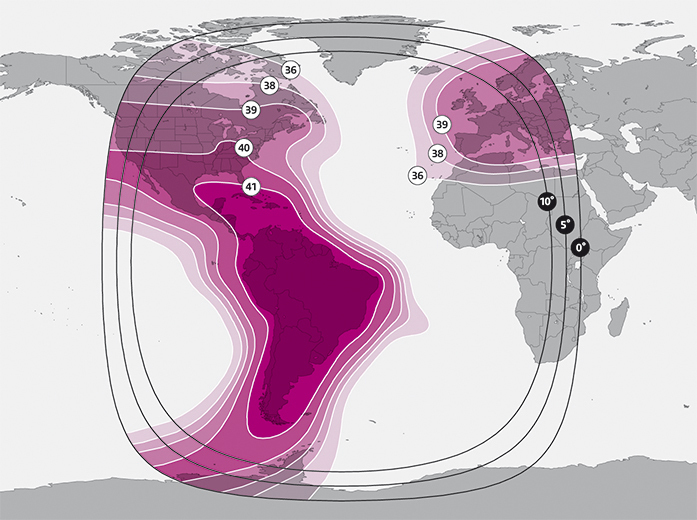 The Ku-band wide beams are designed to provide video and data services in Latin America, the Caribbean, and across the North Atlantic. 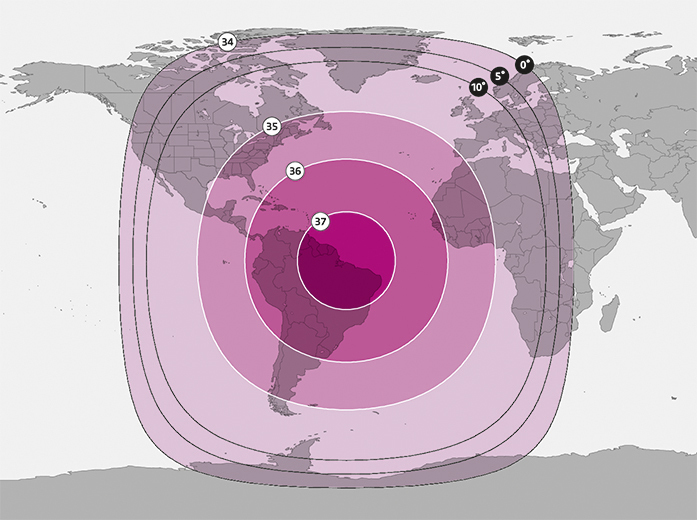 SES-14 also carries the Global-Scale Observations of the Limb and Disk (GOLD) as a hosted payload for NASA.